WELCOME TO BO STUDIO 121...WHERE HIGH SCHOOL SENIOR PICTURES ARE OUR SPECIALTY! WHY CHOOSE BO STUDIO 121 FOR YOUR SENIOR PICTURES? Bo Studio 121 focuses on one-of-a-kind senior picture experiences with each session we photograph. We specialize in fashion forward high school senior pictures creating vibrant and artistic imagery with professional lighting and posing. We promise you a quality level that is unmatched in our area. As a leader in trends, lighting and posing, Bo will make certain you will look your best, feel your best and have a great experience. WAVERLY IOWA SENIOR PICTURES PHOTOGRAPHER. We photograph high school senior portraits for students from all over northeast Iowa including Waverly, Waterloo, Cedar Falls, Cedar Rapids, Iowa City, Des Moines, New Hampton, Mason City and Clear Lake as well as Sumner, Tripoli, Fredericksburg, Plainfield, Charles City and more. As a professional photography studio we offer premium products and lots of fun goodies to make every senior (and Mom & Dad!) happy and absolutely LOVE their senior pics. As a trusted industry professional you are ensured quality and value in our products and services. Bo Ellison and Cindy Hendrickson have been photographing high school senior pictures in the Waverly, Cedar Falls area for over 25 years. Your waverly & cedar falls professional photographer! WHAT DO YOU WANT FROM YOUR SENIORS PORTRAITS? Get the look you’ll love with our Contemporary Fashion Inspired Senior Photography. We’ve been making high school seniors feel and look beautiful since 1996. We offer many exciting options for each senior we photograph. 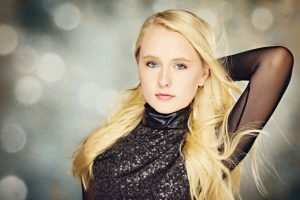 Take a look through our galleries to see some of our amazing senior photos and schedule your session today by calling 319.352.3211 or Book Online! BOOK YOUR SENIOR PIC SESSION NOW! A Fashion Inspired Senior Portraits video! Bo Studio 121 offers uniquely tailored camera sessions for seniors. Each session is custom designed by Bo, so you get an awesome professional photography experience filled with fun. Every session includes in-studio custom professional lighting and posing and outdoor natural light areas with urban and scenic locations. Come join us for your creative senior portrait session! We Have Fun Making You Look Fabulous! BE CAMERA READY FOR YOUR SENIOR PICTURE SESSION! For starters: Arrive to your session on time. Better yet, come 10-15 minutes early. This will let you get organized and dressed before your photo-session time starts. WHAT TO WEAR FOR YOUR HIGH SCHOOL SENIOR PORTRAITS? Ahhhh… this is the fun part! We encourage you to bring SEVERAL outfits and we will help you select what works best for your session. If you’re not sure what to bring, we will help you with a style consultation (either via phone or in our studio) prior to your session day. In addition to the outfits you select for your session we encourage using accessories to mix up your look such as hats, scarves and layers. One single outfit can look like 2 or 3 with a simple accessory change! TAKE OUR ADVICE FOR THE BEST SENIOR PICTURES! Pre-iron your clothes & bring them on hangers. Mix up your outfit’s colors & styles. Choose both long & short sleeve tops, shorts, jeans, dresses and skirts. Bring a variety of footwear such as boots, high heels and flips. Prom dresses are awesome! Accessorize with jackets, coats, hats, scarves and jewelry… Long statement necklaces are great! Brings items of interest such as sports equipment and uniforms or whatever is unique to you. Hairstyles and makeup should be completed before arriving at the studio… there will be time for touch-ups! Polish… fresh coat on fingers and toes… chips look bad! Clean shave for guys or a fresh trim on the beard. Your high school senior pictures will last a lifetime. Be careful with trendy clothing items and graphic tees. A little is great, but be sure to include some classic outfits as well. We’re here to help and love to answer questions… don’t be afraid to ask! HOW MANY OUTFITS DO I GET? DO I GET IMAGES FOR SOCIAL SHARING? CAN I BUY A DVD OF MY IMAGES? It’s easy! Have your calendar ready and give us a call…319.352.3211 or BOOK ONLINE. Grab your calendar – Select a day and time that works best for you. Senior sessions are photographed on Tuesdays, Wednesdays and Thursdays at 9:30am and 1:30pm. If you need a special appointment time, please call to inquire. Have your credit card ready – When scheduling your session a reservation of $250 is due to confirm and hold your session date. The reservation becomes print credit and will be applied to your print purchases. Our senior camera sessions run about 2 hours. We recommend 3-4 clothing changes with accessories. Accessories complement an outfit and gives you several different looks while showing off your personality. We rather have you in front of the camera vs. spending your time in the dressing room! Bring a couple extra outfits to your session and we’ll help you select which will give you the best variety. Yes! Senior Portraits are exciting… a once in a lifetime event. We encourage parents to attend and watch the entire session. This is a great way to spend the day laughing, having fun and making memories while we create your high school senior pictures. Yes! In most cases the poses you order from can be used for social sharing on Facebook, Instagram, your phone and other sharing platforms. These images are sized for the web and have our branding on them like you see on our Facebook page. We design a personal mobile photo app (MPA) that conveniently places your poses in an album for easy sharing! You get to pick when and whom you share your images with. Yes! However, most people prefer to have us take care of everything. They don’t want to have to worry about cropping, color or poor quality products, along with the time it takes to get that all done. We offer Digital Suites that include image files, 4×6 reference prints and a print permission. We supply you a reference print in the event you choose not to have them professionally printed. Your files will be delivered on a Bo Studio 121 thumb drive. Your images will be prepared and ready for you to place your order approximately 3 weeks after the camera session. Order appointment times are available Monday – Friday 9am to 4:30pm. 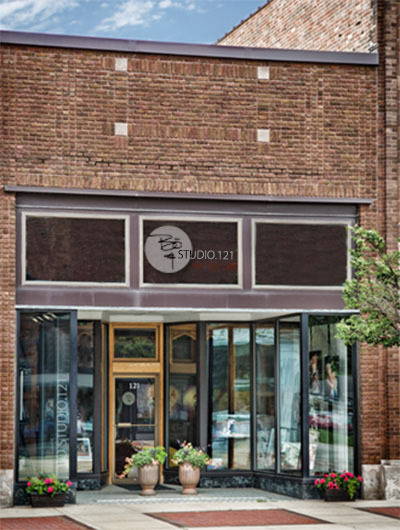 Bo Studio 121 is located in Downtown Waverly, IA in a 1920’s urban-chic storefront. As a professional photographer we pride ourselves on being one of the most unique portrait studios in Iowa. Free street parking is available for your convenience. Serving Cedar Falls, Cedar Rapids, Iowa City, Des Moines, New Hampton, Mason City and Clear Lake as well as Sumner, Tripoli, Fredericksburg, Plainfield and Charles City Iowa. We apologize in advance, if you stop by and we’re not here. We either took a session on location or stepped out for some nourishment.